Nye County Sheriff Sharon Wehrly spoke to reporters this afternoon about her agency’s investigation into what happened with Lamar Odom, who was rushed Tuesday from a brothel in Crystal, Nev. to a hospital, where reports say he remains unconscious and breathing with the aid of machines. Blood was drawn from Odom but the sheriff said it hadn’t been tested yet. 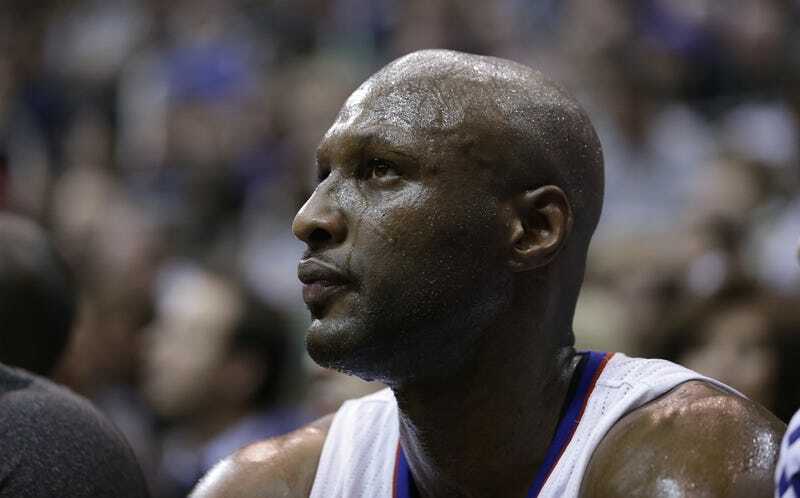 TMZ says its sources report that Odom had cocaine in his system. Update (9:12 p.m.): The Nye County Sheriff’s Office has posted audio of three 911 calls from the Love Ranch. The first call isn’t much, a fairly business-like report that a guest needed medical attention. The second call sounds like the same woman but much more frantic. She tells the 911 dispatcher: “They need to hurry, please, because he’s got blood coming out of his nose, white stuff coming out of his mouth, and we can’t get him to wake up. He’s like almost not breathing.” The dispatcher asks if he is conscious and the woman says no. The second caller isn’t in the same room as Odom. The dispatcher asks the woman to either have someone from the same apartment as Odom call 911 or bring the phone to the apartment so she can give instructions on what to do. The rest of the call is mostly rustling noises that sound like the woman heading to the apartment where Odom was located. He is breathing regularly he sounds like he’s snoring a little bit, but he is breathing, consistently. He’s got a little bit of fluid coming from his nose and his mouth. It’s got a red coloring to it. I wouldn’t say it’s deep red like blood. It’s more kind of a pinkish color. ... I specifically saw it come out of his nose. I can’t say for sure I saw it come out of his mouth, but he’s kinda breathing with his mouth open a little bit. He’s over on his side, snoring but breathing regularly and he’s made a few sounds. I’m trying to speak to him, and I’m kinda hearing like a like a couple of whimpers. If that’s the right word or something like that. They just handed me something called Reload 72 Hour Strong Sexual Performance Enhancer For Men. This is some sort of packaged supplement, and they said he’s taken a bunch of these. So he has done that. I asked them if he had taken any drugs because he’s been here for days and they said no. The man later adds that the women estimated Odom had “probably taken 10 over a three day period of time.” He also says he’s been told that Odom had some cocaine on him, but he finished on Saturday. They did not know of Odom having cocaine since then.